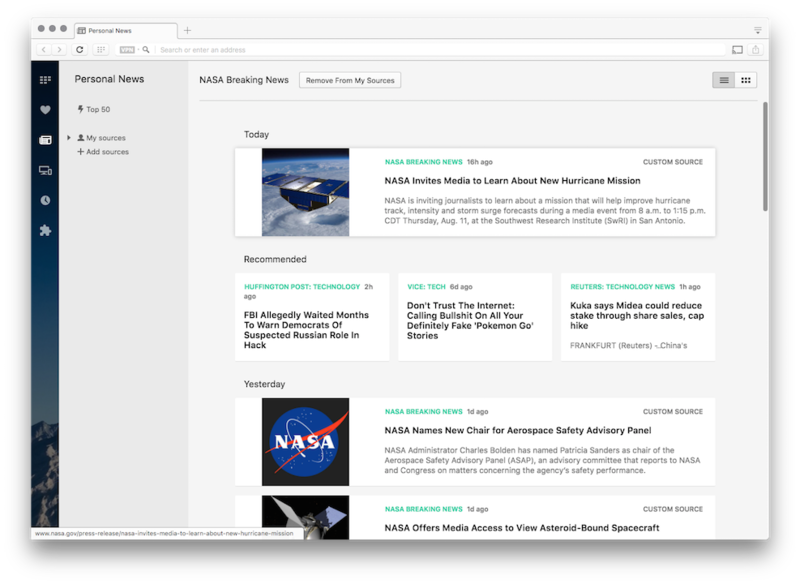 At Opera, we’re moving forward full steam ahead, and, today, we’re ready to share the beta version of Opera 38 with you. This means this release is feature complete and being prepared for launch in our stable channel. 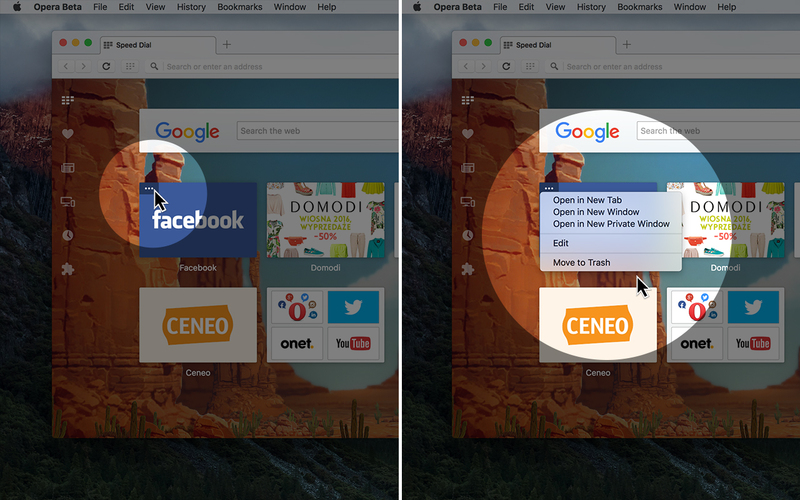 Let’s take a look at the new features in Opera 38 beta. 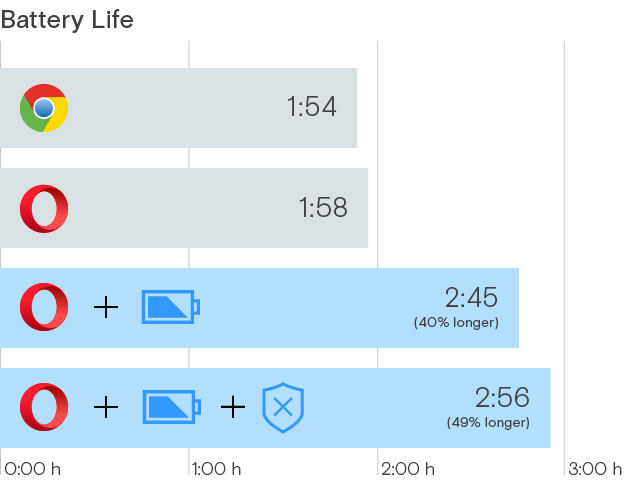 In addition, when the ad blocker is enabled, it enables even more battery savings. 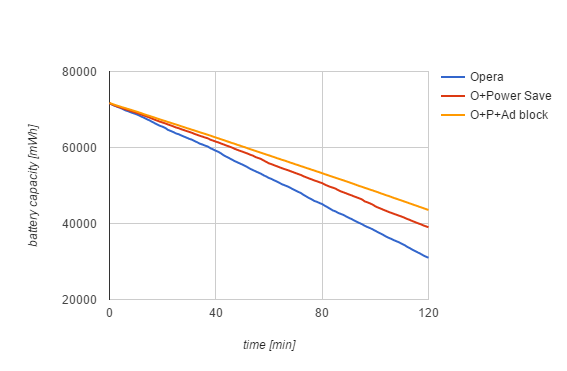 We’re also in process of building a new battery test lab, and we have some early results from this work. We have described the full methodology in detail in the end of this blog post. Remember that results will vary a bit based on your device, test scenario, operating system, etc. But, we will expand on our test lab and publish more results from it as we proceed with development of this feature. 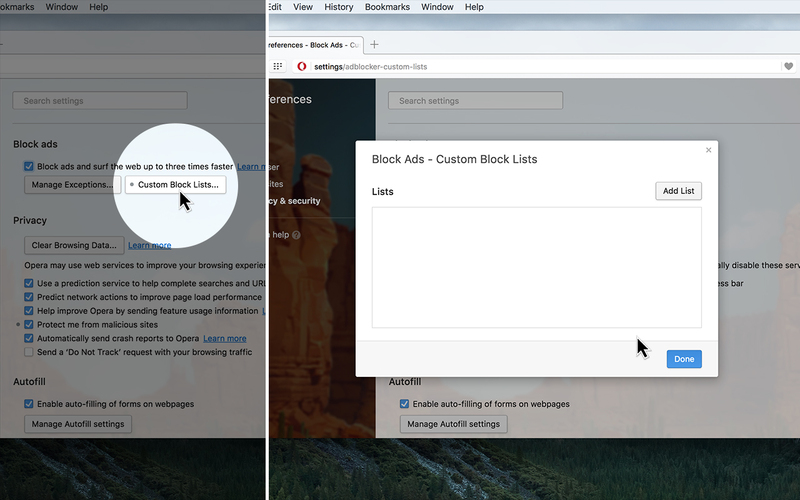 Our ad blocker, introduced in Opera 38 developer, now has support so you can add your own block lists. To add your own custom list file, head to Settings and click the “Custom Block Lists” button in the ad-blocking section (note that “Show advanced settings” from the “Browser” panel must be enabled to see the button). The lists have to be in EasyList-style format, so you can use existing lists such as the EasyList affiliate lists to ensure you can block everything you want. As a reminder, the Opera browser itself already provides a block list based on the publicly available EasyList and EasyPrivacy. Have you ever removed a website from your Speed Dial accidentally? Now, you won’t have to worry. You’ll now notice three little dots on hover in place of where the delete button used to be. 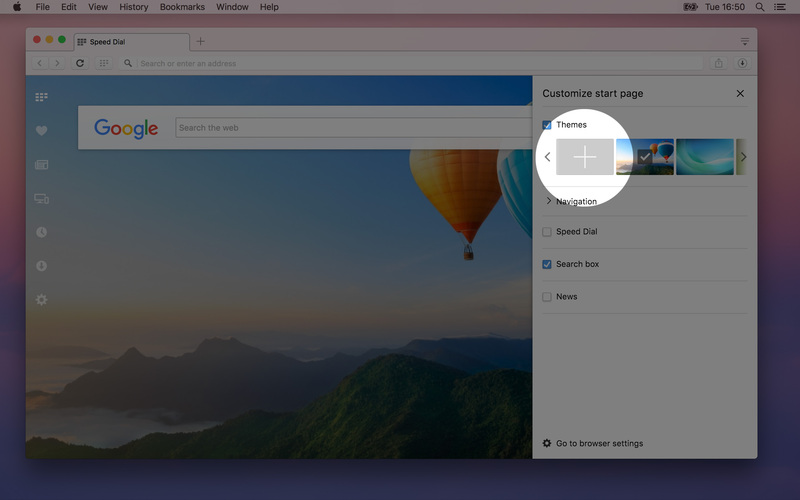 The new button provides quick access to the features previously only available in the context menu, like opening in private tab, or removing a website from your Speed Dial. A while back, we introduced the “Create your theme” option in the theme manager. It appears, though, that the option has not been visible enough for you. Now, you can just go to the Customize startpage and click the ‘+’ button; then, use your own photos to create a theme. All extension users will have the extension manager always at hand. The extension icon is visible on side panel on the left side of the Speed Dial page. The O-menu changes its graphics (becomes red) and “Restart Opera to update to version….” appears on the menu list (Windows). A notification dialog with a “Reload” button appears in the upper-right corner of the screen (OS X). Starting from this version, we’re updating our requirements on Mac. Now, we’re supporting OS X 10.9 and higher. We used a Dell Inspiron 7559, 15,6″, i7-6700HQ, 16GB, 256GB SSD, Win10, GTX960M using the Balanced power profile. The backlight was set to 100% all the time, Wi-Fi was running in 802.11n mode with RSSI -53 dBm. There was no other software running in the foreground; indexing and background services were stopped. Laptops were placed on a wooden surface for similar heat exchange. The browser was automated using WinAPI event injection. For battery status information, IOCTL_BATTERY_QUERY_STATUS was used (https://msdn.microsoft.com/en-us/library/windows/desktop/aa372699(v=vs.85).aspx). Battery remaining capacity was being measured once a minute. In each configuration, the test was run for two hours. Step 1: Configure the system. Charge the battery to 100%. Step 2: Load chicagotribune.com, elitedaily.com, faz.net, latimes.com, mashable.com, mlive.com, nj.com, nydailynews.com and youtube.com/watch?v=tnsQ8DjD6YE – in separate tabs. Step 4: Each minute, the current battery capacity is recorded. Thank you very much for your feedback following our latest browser VPN release in the developer channel. We’ve heard from a lot of you and value what you have shared. In response to it, we have decided to work on it more in the developer channel before we schedule it for the stable release. Accordingly, we are not going to release VPN in the beta channel, yet. More updates are coming to the developer stream soon. The changelog is available here.